With an exploding luxury travel sector, unique destinations and authentic cultural experiences, the African continent is primed as one of the prominent destinations for luxury travellers in 2019 and beyond! “Predicted to reach a worth of over US$1,1-billion dollars by 2020 (Allied Market Research), the global luxury travel market is growing at an exponential rate, showing more potential than has been seen in the past decade and demonstrating the potential for Africa as a luxury destination,” explains Megan Oberholzer, Portfolio General Manager – Travel, Tourism & Sports at Reed Exhibitions, South Africa. As luxury travel experiences have evolved, so has ILTM Africa. With an exciting new venue planned for 2019, the luxury-focused travel trade show is set to be one of the biggest highlights for buyers in the coming year. “Not only have we upgraded our venue for ILTM Africa, but we have also improved the show’s look and feel, as well as its networking events, thus ensuring that all of our buyers will experience some of Cape Town’s top luxury hotels and restaurants while visiting,” says Oberholzer. Taking place in the spectacular Kirstenbosch National Botanical Garden in the Host City of Cape Town, ILTM Africa 2019 is the next step in harnessing the ever-evolving luxury travel sector. Below Image: The beautiful view of the Boomslag at Kirstenbosch. 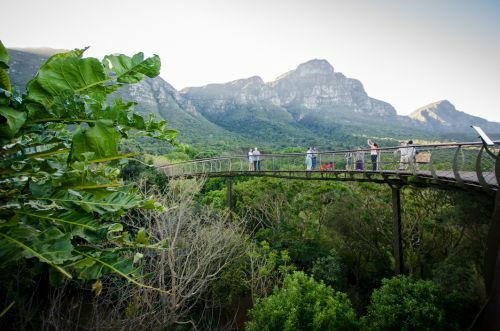 The Kirstenbosch National Botanical Garden is one of South Africa’s renowned UNESCO World Heritage Sites and offers an incredible natural experience for visitors to Cape Town. The garden lies on the eastern slopes of Table Mountain and is one of the few places where unique and protected species of fynbos thrives. The move to a new venue is part of ILTM Africa’s initiatives to create a more experiential event, allowing attendees to enjoy their surroundings while creating a productive environment in which to do business. The ‘language of luxury’ will be top of mind, with Anthony Berklich from luxury lifestyle blog Inspired Citizen, as the keynote speaker for the event. Berklich’s experience as an international journalist and traveller will help attendees understand the latest trends in the luxury travel market and what travellers are looking for when booking their next getaway. 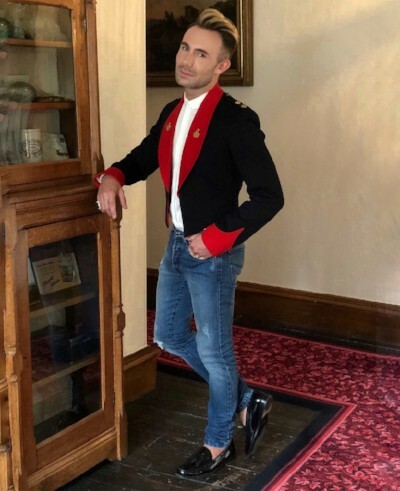 Below Image: Anthony Berlich, the founder of the luxury lifestyle blog, Inspired Citizen, will be speaking at ILTM Africa 2019. Make sure not to miss out on ILTM Africa and book your table today! Visit http://www.iltm.com/africa/for more information and to apply!